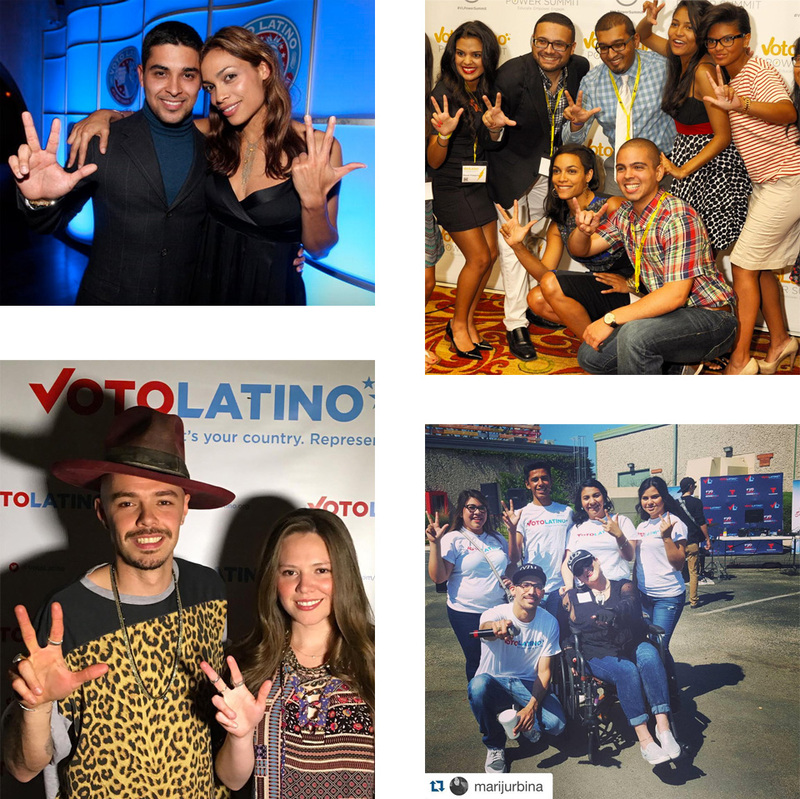 A few of the celebrity (and non-celebrity) supporters flash a “VL” hand sign. Rosario Dawson is co-founder of the organization and its main ambassador. The only thing worse than Helvetica is Helvetica Rounded and even worse-r than that is a modified Helvetica Rounded as is the case with the old logo where the "V" has been extended and something happened to the "t"s. Neither the old nor the new logo say much specifically about Latino culture but at least the new one is competently done and better suited to both get the attention of its audience and gain its trust as something cool. The "VL" monogram is a nice device that looks sharp as the social media icon and the hard angle shadow of the "V" has a Google-icon aesthetic that works very well. 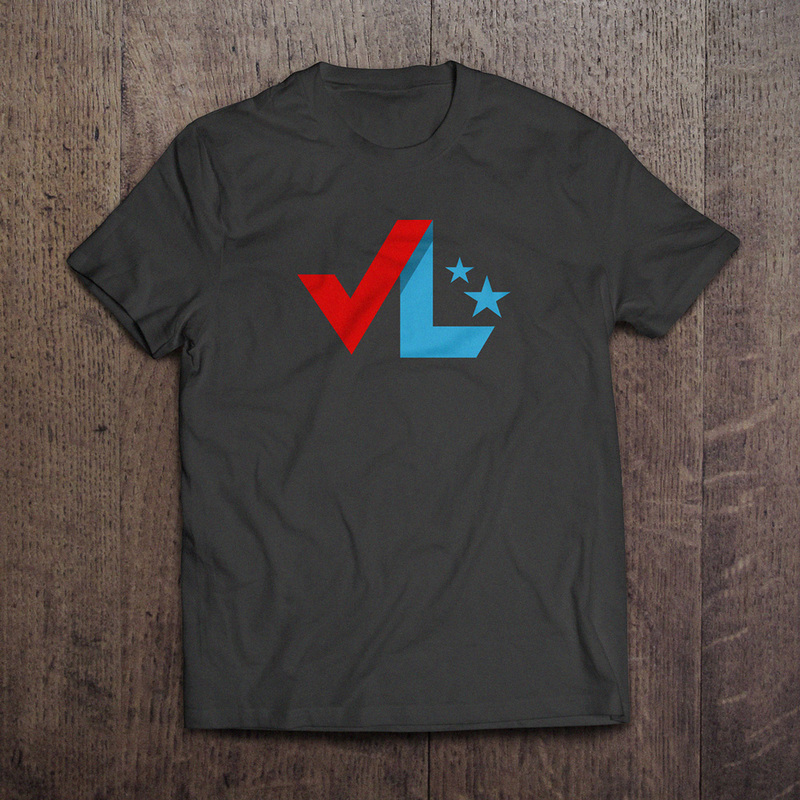 Seems like a lost opportunity to do some kind of play between the "V" and "L" where they could be the same shape with the "L" rotated slightly. There is also an underused element of the hand gesture forming the "VL" (last image below) that could have somehow played a role in the identity, perhaps as a Shepard Fairey-esque illustration. Nonetheless, it gets my voto for a proper evolution. (Est. 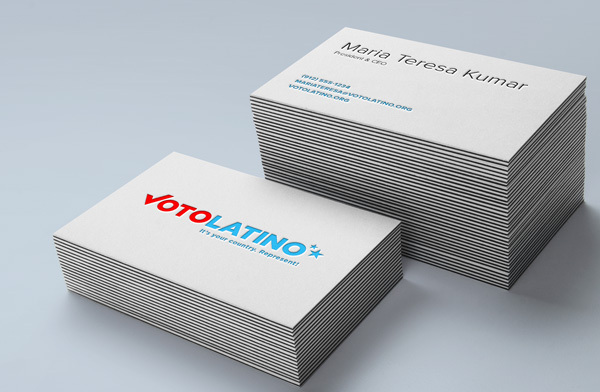 2004) \"Voto Latino is a pioneering civic media organization that seeks to transform America by recognizing Latinos' innate leadership. Through innovative digital campaigns, pop culture, and grassroots voices, we provide culturally relevant programs that engage, educate and empower Latinos to be agents of change. Together, we aim to build a stronger and more inclusive democracy.\"